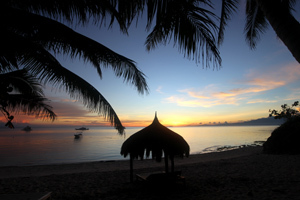 In the Philippines south of the Visayas and north of Mindanao in the Bohol sea is the Island of Siquijor. The Mystic Isle, The Island of Fire both names that have been given to Siquijor for different reasons, but what is the island like and how do you get there? 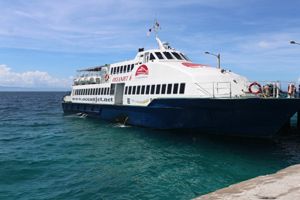 There are several directions from which you can get to Siquijor Island, but the last stage will always be by boat. Everything and everyone arrives by the ferrys and fastcats that service the island there are slow boats that take vehicles, ferrys for people only and passenger fastcats. 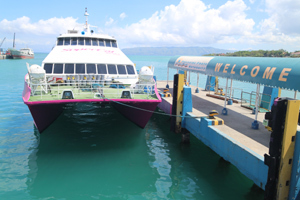 Once a day in the morning there is a fastcat that runs Cebu port - Tagbilaran (Bohol) - Dumaguete then Siquijor, it returns the same route at 13h30.